Richelle Mead is the author of the international #1 bestselling Vampire Academy series, its bestselling spinoff series Bloodlines, and the fantasy standalone Soundless. A lifelong reader, Richelle has always had a particular fascination with mythology and folklore. When she can actually tear herself away from books (either reading or writing them), she enjoys bad reality TV, traveling, trying interesting cocktails, and shopping for dresses to wear on tour. She is a self-professed coffee addict, works in her pajamas, and has a passion for all things wacky and humorous. Originally from Michigan, Richelle now lives in Seattle, Washington, where she is hard at work on her next novel. Visit www.RichelleMead.com to find out more. "Southern charm meets My Fair Lady [...] romantics will love this book." "With a full cast of bold and original characters, Mead does a superb job of building a world that teens will be excited to enter into and disappointed to leave. The plot is intricately woven, and the ending promises future installments from other characters’ points of view. Brilliant and original, Mead’s new series starts off with a bang and will leave readers on the edge of their seats until the very end." 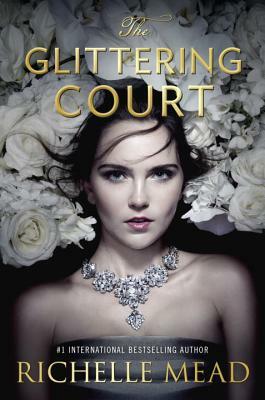 "The emphasis on romance, dresses, and intrigue will appeal to fans of Kiera Cass." “In a refreshing change to the romance formula...there is a strong feminist element in Adelaide’s narration, and more than meets the eye in terms of plot, character development, and substantive thought." "An enjoyable fish-out-of-water tale that plays gritty frontier adventure against the finery of the Glittering Court."